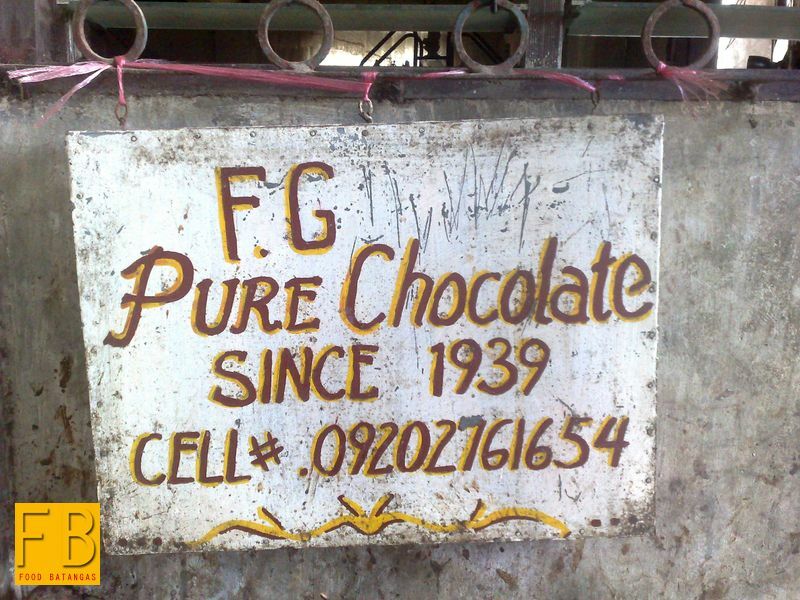 Before fancy powdered and ready to drink milk chocolates became ubiquitous, there was tabliya. Tabliya is as pure as chocolate can hope to get, made as it is from roasted cacao, ground into powder and moulded into little tablets. By itself, it is almost inedible; and its bitterness will give the palate more than just a little shock. However, boiled in a pot of water with milk and sugar, the tabliya becomes the chocolate purist’s ultimate delight. It is almost impossible to find comparison between it and the cheap diluted milk chocolates served in fastfood restaurants. 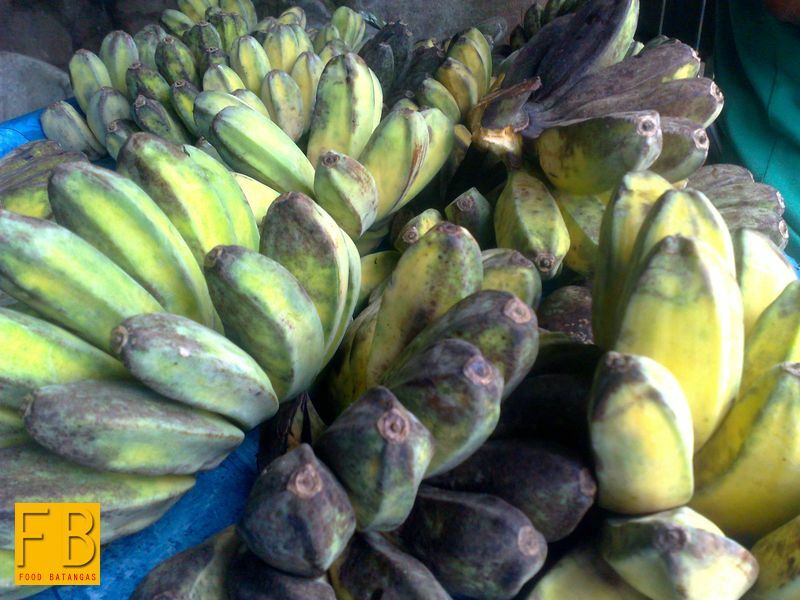 It is also perfect mixed with porridge for a truly delicious and tangy champorado. 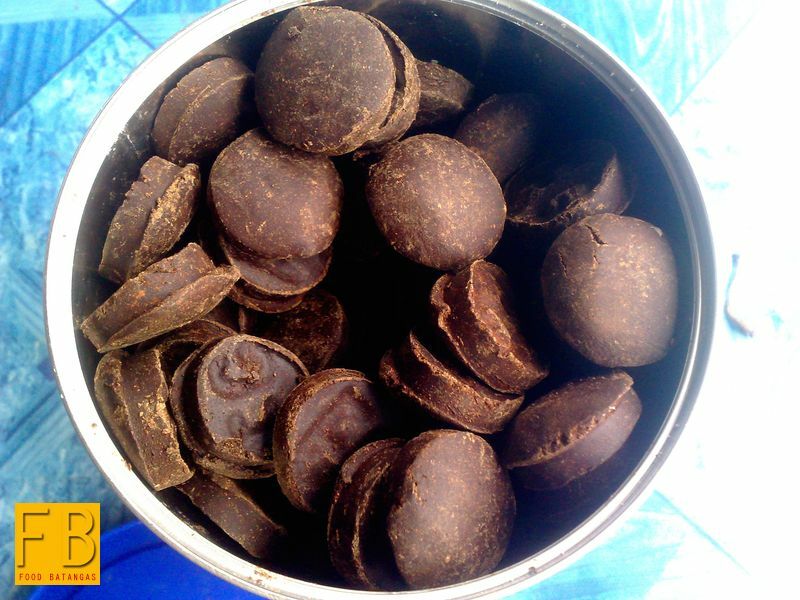 In fact, in the old days, few people turned to grocery chocolate powder when making their champorados. Ka Felina Gadil and her family of Mataas-na-Kahoy, Batangas have made a living from making tabliya for three generations now. 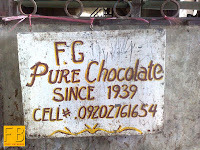 She runs a small household industry called FG Pure Chocolate which was started as long ago as 1939. She inherited the small business from her grandfather. It is not an easy business, by any means. 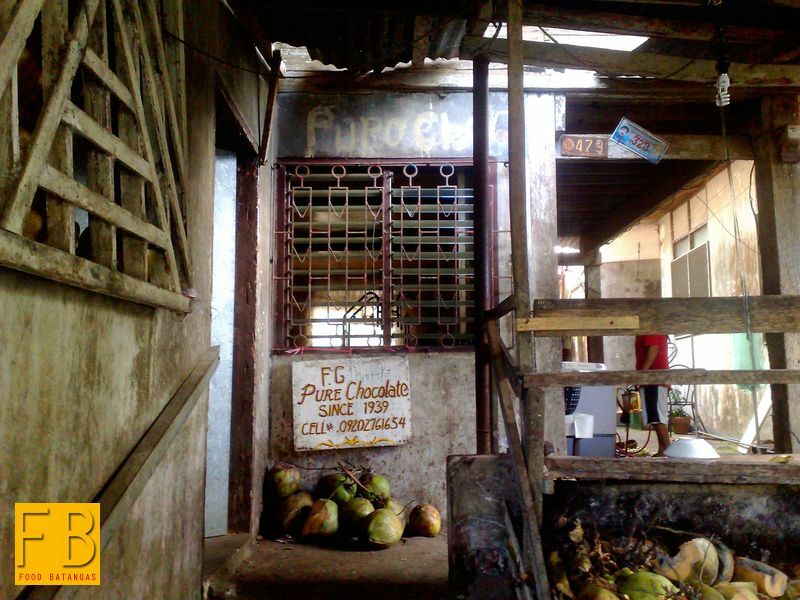 The cacao is bought from farms as far away as the municipalities of Padre Garcia, Rosario and San Jose, all in the province of Batangas. 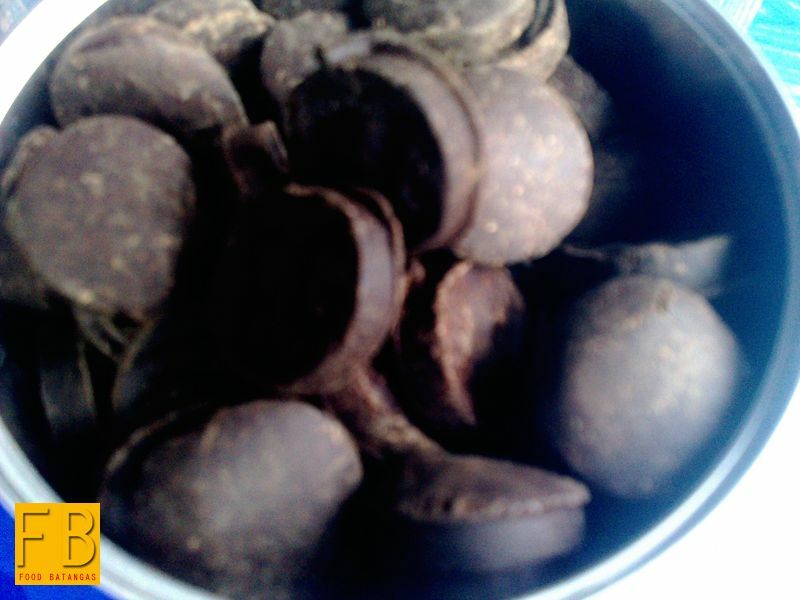 There are times, Ka Felina narrated, when no cacao is available; especially in those times when fertilizers have not been properly administered to the cacao trees. The cacao is roasted and then machine-ground into powder. It is then mixed with water and cooked in a large vat called the tulyasî. 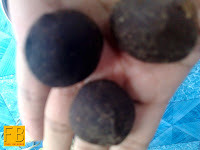 The gooey mixture is then moulded into small tablets and cooled. The tabliya is made a thousand pieces at a time; and will only be made again when stocks run low. 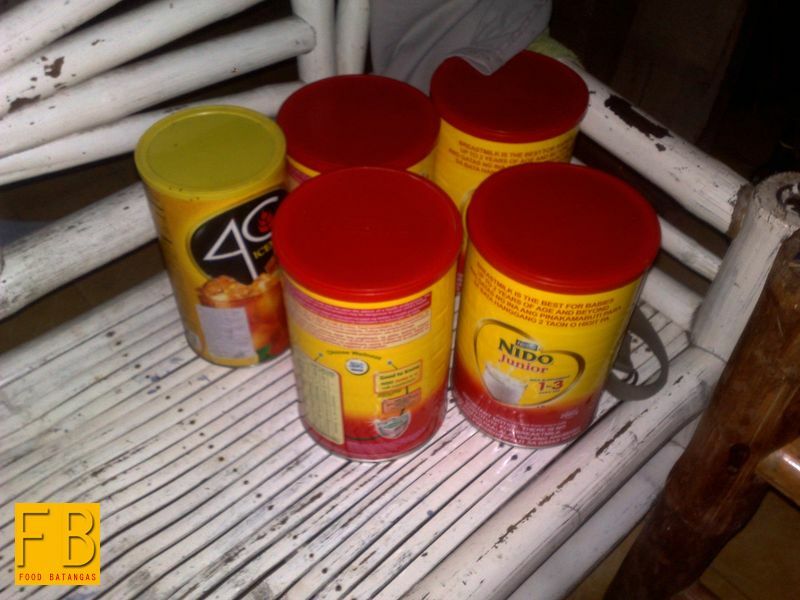 Each table is sold at 3 pesos. Ka Felina can still recall when it cost no more than 30 centavos. The tabliya industry, she said, is very competitive. 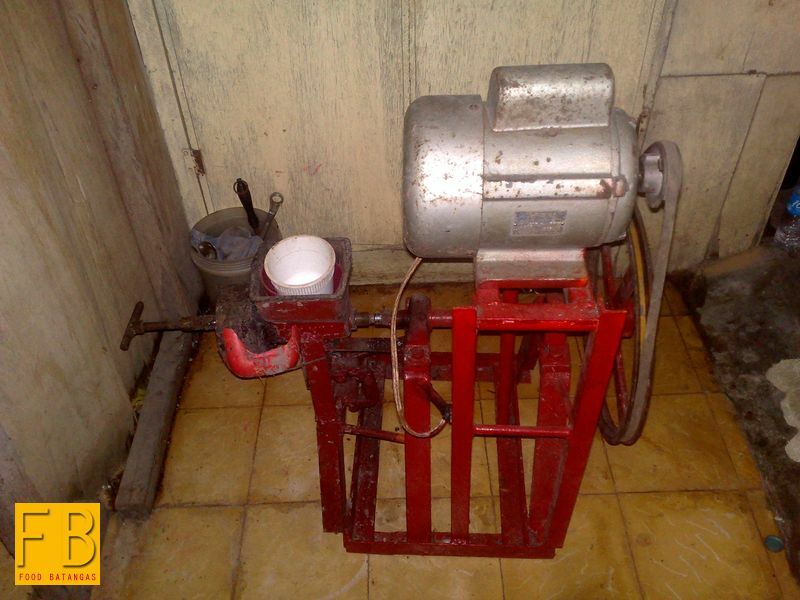 There are many household manufacturing industries similar to hers. Hence, she has to augment her income from the tabliya by selling bananas and coconuts in her store as well. 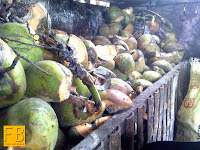 The tabliya sells best, Ka Felina went on, during the holiday season; Christmas and New Year’s Day, in particular. Recently, though, a couple ordered tabliya from her to use as giveaways for their upcoming wedding. Tough as business may be at times, it was from income earned from the small industry that enabled her and her siblings to go to school. The really stifling competition, of course, comes from instant powdered chocolates one finds readily available on any grocery shelf. However, to the purist, the powdered chocolate doesn’t even come anywhere near the unique and authentic taste that only the tabliya can give. Ka Felina’s FG Pure Chocolate is at 479 S. Templo Street, Barangay 2A in Mataas-na-Kahoy. She may be reached through her cell phone number 09169250785.